Many of Indonesia's forests include in Tropical Rain Forest is a complex community whose framework is provided by trees of many sizes. Forest canopy is used as a general one to describe the total plant community above the ground. Within the canopy the microclimate differs from that. outside; there is less light, humidity is higher, and temperature is lower. Many of the smaller trees grow in the shade of the larger ones in the microclimate that these produce. Upon the framework of the tree and within the microclimate of the canopy grow a range of other kinds of plants: climbers, epiphytes, strangling, plants parasites, and saprophytes. The trees and most of the other plants are rooted in the soil and draw nutrients and water from it. Their fallen leaves, twigs, branches, and other parts provide ; food for a host of invertebrate animals, amongst which termites are often important, and for fungi and bacteria. Nutrients are returned to the soil via decay of fallen parts and by leaching from the leaves by rain-water. It is a feature of tropical rain forest that most of the total nutrient store is in the vegetation; relatively little is held in the soil. Indonesia’s forests are an extraordinary natural phenomenon, of immense value and beauty. Over ten per cent of the planet’s diversity of plants and animals are found only in Indonesia, including orangutan, elephants, tigers, rhinoceros, a thousand species of birds, and thousands of plant species. The archipelago is also home to hundreds of indigenous groups who have lived from and managed Indonesia’s forests for thousands of years. The forests provide food, medicines, building materials and clothing fibers, not only for indigenous communities, but also for world markets. 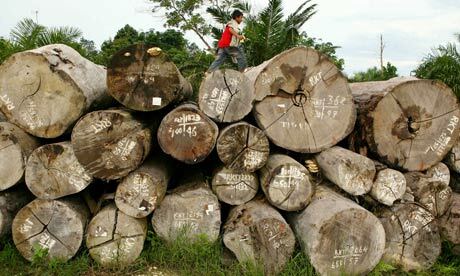 Indonesia also possesses more endangered species than any other country in the world largely because of deforestation. Forest damages assumedly have caused flood in Wasior, West Papua, according to the Coordinator of Social and Environmental Advocacy Network in Papua (Jasoil) Pitsaw Amafnini. Pitsaw explained that flood has inundated Wasior Kota and Wondiwoi District. “Flooding is from overflowing Wasior and Dusner River. 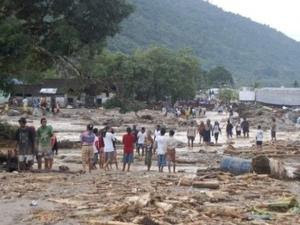 These rivers are overflowing because it cannot accommodate water, because soil of forest in Wasior cannot absorb the water after trees in the forest had been cut down,” said Pitsaw on Tuesday, 5 October 2010. 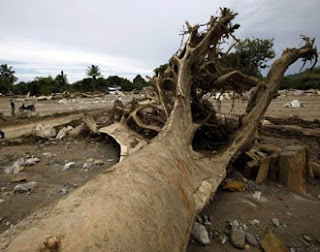 Jakarta (ANTARA News) - The environment ministry (KLH) says that the condition of the forest above Wasior, the capital of Teluk Wondama district in West Papua is still good. The office`s assistant deputy for lake and river damage control, Antung Deddy Radiansyah, said at the office here on Thursday a team of Green Indonesia Program had checked several days before the flash flood occured. "A team from KLH conducted a field check several days before the flood and saw 90 percent of forest coverage was still good," Andung said. He said the flood occured after the steep slope in the upstream area of Wasior River slided to cover the river. "The landslide covered the river like damming it up to cause a flash flood," he said. 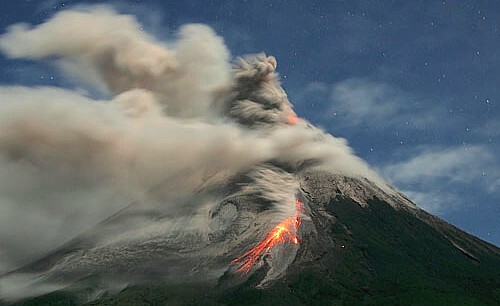 Andung also predicted the slope had fallen because of the effect of a recent earthquake in Papua. According to data from satellite imaging the Wasior river was unable to hold rainwater after it was covered by soil from the landslide. He said KLH had already made a map of areas vulnarable to landslides and floods across the country, also making a note of environmental destructions found in the areas. "The man has been made known to all local governments since January 2010 including the Papua administration," he said. Based on it he said local governments had to conduct delineation and identify areas vulnarable to natural disasters. Before briefly outlining potential links with wetlands in the negotiations on REDD in the Kyoto CDM-funded sense described in section 1 above, it should be noted that a number of voluntary carbon trading initiatives of relevance are also in existence. Some of these may continue outside the UNFCCC regulatory regime; while others are conceived as pilots for what could eventually be embraced by that regime. For example, the World Bank launched its first prototype carbon fund in 2000, and now has ten carbon funds, including BioCarbon (BioCF) which is financing 3 pilot REDD projects. In 2007 the Bank launched the Forest Carbon Partnership Facility, designed to give pilot experiences of REDD in a few countries as background for the UNFCCC negotiations (the payment structures are based on options under discussion in the Convention), as well as helping to build capacity on the issue (World Bank, 2007). Indonesia has recently (March 2009) asked for support under this programme for reducing emissions from loss of both forests and peatlands. The FAO, UNDP and UNEP are also collaborating in a joint UN REDD programme, financed by a multi-donor trust fund established in 2008. Among NGOs, Wetlands International operates a Global Peatland Fund for investing in peatland restoration and conservation projects with associated socioeconomic development goals, initially in Indonesia, which are designed to generate verified and tradeable carbon credits (Voluntary Emission Reductions, or VERs). The Fund will trade the VERs on international voluntary carbon markets, with a portion of profits going to the Fund’s investors and the rest being used to support community development projects. The UK’s Royal Society for the Protection of Birds is active with partner organisations in Europe on peatland restoration schemes (in Belarus, in particular) designed to operate in similar ways. UNFCCC COP13 Decision 1/CP.13, known as the Bali Action Plan, sets out the process for preparing decisions to be made at COP15 in Copenhagen in December 2009 which will frame implementation of the Convention and the Kyoto Protocol in the period beyond 2012. The scope of this mandate includes deliberations on “various approaches, including opportunities for using markets, to … promote mitigation actions”. Numerous proposals have been developed by a variety of governments and organisations for schemes to institutionalise and finance REDD formally in the post-2012 regime. Parker et al (2008) give a guide to 33 of these proposed schemes, with cross-references to the UNFCCC technical documents relating to each of them. In addition, an open source data set and model to evaluate the carbon emission and financial implications of alternative approaches to providing positive economic incentives for REDD has been built by the Collaborative Modelling Initiative on REDD Economics, a consortium including the Terrestrial Carbon Group, Conservation International, the Environmental Defense Fund, the University of East Anglia and Woods Hole Research Center, with input from the International Institute for Applied Systems Analysis and the Prince's Rainforests Project. Aspects of the legal options for an international agreement on REDD have also been reviewed by FIELD (2008). An agreement could take any one of a number of forms, including amendments to the Kyoto Protocol, a separate Protocol, or other decisions under the parent Convention. FIELD point out that in some places there are already relatively comprehensive frameworks of national nature conservation and forestry legislation that could provide an entry point. They also point out however that many indigenous peoples and local communities whose livelihoods depend on forests are not supportive of current proposals for REDD, because of concerns about their involvement and the frequent lack of good institutional structures for cascading benefits to them. FIELD therefore emphasise the need for REDD funds not to be focused solely on reducing emissions, but also to contribute to the improvement of forest governance and the achievement of the Millennium Development Goals. Moreover, a badly designed REDD mechanism could reinforce the perception of forests as valuable only or mainly in terms of the carbon that they contain, rather than taking into account other ecosystem services and types of values. There are perhaps three potential dimensions to a linkage between wetlands and the concepts for REDD that are currently being advanced. First, as explained in section 1 above, some forests are also wetlands. UNFCCC Decision 2/CP.13 recognised that “reducing emissions from deforestation and forest degradation in developing countries can promote co-benefits and may complement the aims and objectives of other relevant international conventions and agreements”, and this would be a basis for perceiving one form of synergy between REDD and the Conventions on wetlands (Ramsar) and biodiversity (CBD), for example. Avoiding deforestation can support conservation of soil, water, biodiversity and non-timber forest products. As has been pointed out, however (Ecosystems Climate Alliance 2009), the carbon in natural ecosystems is resilient, and it might be more proper to consider biodiversity conservation as a core benefit rather than (in the terms of Decision 2/CP.13) a “co-benefit”. Moreover, given the different carbon storage potential of different soil types, and the high capacity for example of peatlands in this regard, the primary emission reduction objective itself can be enhanced in forests which are also wetlands (such as peatswamp forests). Hence even in terms solely of the achievement of Kyoto targets, there may be good reason (ie greater carbon benefit per dollar) to give priority to forested wetlands in implementing schemes for REDD. The functioning of any forest system that is subject to measures for REDD will be dependent on a range of external influences. 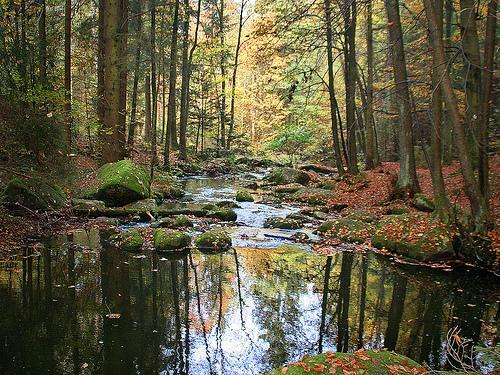 A key one of these is the hydrological context: every forest exists in a water catchment, and the management of that catchment, of its water resources and all activities that can affect these will be a crucial part of the equation. This in turn is heavily bound up with the functioning of wetlands in the landscape. Forest management that involves replenishment planting may be particularly dependent on adequate water supplies for supporting young trees; but more generally too, forest areas involved in REDD should be more viable in areas where there is better wetland conservation and river basin management. There has been substantial advocacy in recent years for considering the role of ecosystems other than forests in contributing to “avoided destruction and degradation” methods of reducing emissions under the Kyoto Protocol. Peatlands and other wetlands have been acknowledged as obvious contenders for integration into a post-2012 framework (Royal Society, 2008). Part of this debate relates to land use, land-use change and forestry (LULUCF) activities of developed countries within their own territory under Articles 3.3 and 3.4 of the Protocol. Discussion has focused in particular on the scope of coverage of emissions from soil and vegetation, where non-agricultural/nonforestry wetland soils and vegetation are not currently covered (Ecosystems Climate Alliance, 2009; Ramsar Secretariat et al, 2007; Wetlands International, 2008b; Wetlands International, 2009b). Since the focus of the present paper is on ideas for Certified Emission Reduction credits to be generated under Article 12 of the Protocol from CDM-funded projects in developing countries, this Art 3.3-3.4 dimension is not considered further here. An extensive treatment of options for inclusion of peatlands in post-2012 climate agreements is given in Pena (2008), much of which would be relevant to a consideration of the scope for inclusion of other wetland types as well. Pena’s review is critical of the human activity-based approach to addressing land management issues in Kyoto, and suggests for the future that an approach based on land types and sectors would be more effective, on the grounds of burden-sharing advantages and the ability to accommodate multiple-use situations. Pena also assesses options for improving the effectiveness of the Clean Development Mechanism in this regard, given the potential for problems arising for example from competition between projects, or between CDM investment and investment in mitigation activities in developed (Annex I) countries. Although wetlands could be addressed by the CDM on a project basis, the general discussions on REDD have tended to focus on national-level approaches, which Pena’s review considers attractive in respect of wetlands too. The review recommends that to be effective it will be important to reduce the effort required to set baselines; to ensure that all relevant gases are within the scope; to cover both conservation and restoration of wetlands, and to minimise negative impacts on prices of land, food, feed and fibre. Further work is also recommended on quantifying relevant wetland carbon balances (see also Lloyd, in prep); among other things to ensure proper valuation of resulting credits. In terms of instruments, current models for REDD could be expanded to cover wetlands; or analogous/parallel wetlands-specific models could be constructed. There is a concern that given the relatively small number of countries with a significant extent of peatlands compared to those with forests, it may be harder to mobilise a groundswell of advocacy among developing countries for a wetlandspecific mechanism than it has been for REDD. This may make expansion of REDD a more practical option than aiming for a separate mechanism. Concern about the magnitude of credits that might come to the market was one reason for the original exclusion of avoided deforestation from eligibility under the CDM, and this would need to be addressed for peatlands/wetlands too, perhaps by capping the proportional tonnage of targets that can be met from this source. Pena also considers ways to minimise problems arising from leakage (changes in emission balances that are attributable to projects but which occur outside the project boundaries), and cites some possible differences between forest schemes and peatland schemes in respect of the respective advantages of “project” and “national” approaches. In the interests of developing countries which have not experienced significant deforestation, approaches to REDD have been suggested which aim to reward conservation of forests that are not currently experiencing deforestation or degradation. These would for example set “forward-looking” baselines that incorporate working assumptions about potential future loss/degradation, by reference to “business as usual” (BAU) scenarios or to historic trends. The same ideas could be applied to a mechanism for wetlands. These ideas are however at the ambitious end of what might be achieved in the current negotiations. As one indication of the scale of ambition that may or may not be appropriate, at the time of UNFCCC COP14 in December 2008, the working group on methodologies for REDD decided (in relation to pilot projects) only to address above-ground biomass, and not to consider any soil carbon component. It has been said that this is a result of uncertainties surrounding measurement of soil emissions, but Wetlands International maintains that these difficulties have been exaggerated, at least as far as peat soils are concerned (Wetlands International website news item, 10 December 2008). The decision tables in Section 3 above provide a stock-take of adopted intergovernmental positions and technical advice on wetlands and climate (mitigation) interactions, which offer several sources of additional political and scientific support for the potential extension of REDD-type concepts to cover wetlands. Clearly one angle is the scope for synergy and mutual reinforcement among the agendas of the respective Conventions when a REDD or “wetland-REDD” mechanism produces associated benefits for conservation of biodiversity, wetlands, protected areas and so on. As pointed out in this paper, however, the links are potentially significant in a variety of other ways; not least that the implementation of these other Conventions can contribute much to the emissionreduction aims of the UNFCCC, including in ways that support socioeconomic objectives in developing countries at the same time. 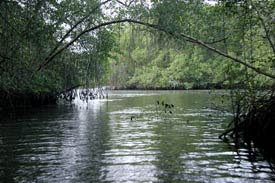 The Ramsar Convention in particular is in a position to provide a direct readacross of international concepts, principles, methods and standards for understanding what constitutes avoidance of degradation of wetlands, and for guidance and norms on issues such as inventory, monitoring, vulnerability assessment and hydrological functions. These would be essential ingredients in operating any REDD-type mechanism in relation to wetlands. Ramsar, like others, is making efforts to improve the science of calculating wetland carbon balances, though the forthcoming Ramsar Technical Report (Lloyd, in prep) and the on-going work of the Scientific & Technical Review Panel. This will offer vital assistance to the moves to address wetlands under Kyoto, and cooperation between the respective Conventions will be of increasing importance as the negotiations for UNFCCC COP15 gather pace. 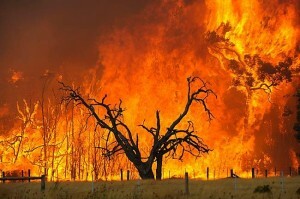 Deforestation and forest degradation account for approximately 17% of global greenhouse gas (GHG) emissions. In its Fourth Assessment Report (AR4), the IPCC concluded that ‘forestry can make a very significant contribution to a low cost global mitigation portfolio that provides synergies with adaptation and sustainable development’. Further scientific research since the IPCC AR4 indicates an even greater urgency to reduce emissions in order to stabilise atmospheric greenhouse gas concentrations at safe levels. Given the current rates of deforestation and ongoing forest degradation, IUCN sees the adoption of a carefully designed REDD regime within the post-2012 agreement as a necessary rather than a discretionary mitigation option, complementing ambitious mitigation measures in other sectors. REDD has the advantage that it could deliver urgently needed GHG reductions while other essential mitigation options come on stream. If properly designed, it can provide a bridging mechanism in the transition towards a low-carbon economy whilst increasing resilience and enhancing adaptive capacity to climate change; contributing to rural livelihoods; promoting good forest governance and delivering biodiversity objectives. IUCN welcomes the broad support from Parties, at the UNFCCC Bonn-1 talks (29 March to 8 April 2009), that recognizes the value of incorporating Reducing Emissions from Deforestation and Degradation (REDD) in the post- 2012 UN climate change regime, as a possible nationally appropriate mitigation action (NAMA) in developing countries and as a complement to ambitious targets for emissions mitigation in other sectors by developed country Parties. IUCN welcomes the recognition of the need for adequate, predictable and sustainable finance to support the REDD mechanisms, including for capacity building. IUCN also welcomes the consensus emerging on the need to address drivers of deforestation; the importance of financing REDD Readiness in implementing countries; the links between governance and an effective REDD framework; the need to preserve the rights of forest dependent communities, with particular attention to the interests of women; the role of forest degradation; the role of conservation, sustainable management of forests and enhancement of forest carbon stocks. By integrating satellite mapping, airborne-laser technology, and ground-based plot surveys, scientists from the Carnegie Institution's Department of Global Ecology, with colleagues from the World Wildlife Fund and in coordination with the Peruvian Ministry of the Environment (MINAM), have revealed the first high-resolution maps of carbon locked up in tropical forest vegetation and emitted by land-use practices. These new maps pave the way for accurate monitoring of carbon storage and emissions for the proposed United Nations initiative on Reduced Emissions from Deforestation and Degradation (REDD). The study is published in the September 6, 2010, early edition of the Proceedings of the National Academy of Sciences. The United Nations REDD initiative could create financial incentives to reduce carbon emissions from deforestation and degradation. However, this and similar carbon monitoring programs have been hindered by a lack of accurate, high-resolution methods to account for changes in the carbon stored in vegetation and lost through deforestation, selective logging, and other land-use disturbances. The new high-resolution mapping method will have a major impact on the implementation of REDD in tropical regions around the world. The study covered over 16,600 square miles of the Peruvian Amazon -- an area about the size of Switzerland. 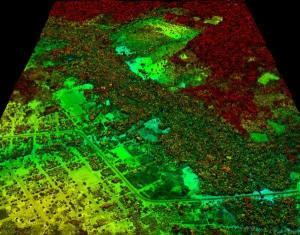 The researchers used a four-step process: They mapped vegetation types and disturbance by satellite; developed maps of 3-D vegetation structure using a LiDAR system (light detection and ranging) from the fixed-wing Carnegie Airborne Observatory; converted the structural data into carbon density using a small network of field plots on the ground; and integrated the satellite and LiDAR data for high-resolution maps of stored and emitted carbon. The scientists combined historical deforestation and degradation data with 2009 carbon stock information to calculate emissions from 1999-2009 for the Madre de Dios region. "We found that the total regional forest carbon storage was about 395 million metric tons and emissions reached about 630,000 metric tons per year," explained lead author Greg Asner. "But what really surprised us was how carbon storage differed among forest types and the underlying geology, all in very close proximity to one another. For instance, where the local geology is up to 60 million years old, the vegetation retains about 25% less carbon than the vegetation found on geologically younger, more fertile surfaces. We also found an important interaction between geology, land use, and emissions. These are the first such patterns to emerge from the Amazon forest." The scientists also found that the paving of the Interoceanic Highway, combined with selective logging and gold mining, caused an increase of deforestation emissions of more than 61% by 2009, while degradation emissions doubled. Forest degradation increased regional carbon emissions by 47% over deforestation alone. However, the researchers were able to detect an 18% offset to these regional emissions in forests regrowing on previously cleared and now abandoned lands. Members of the Peruvian government participated throughout the research process to familiarize themselves with the new method. In doing so, they aimed to assess the method's advantages, evaluate deforestation and forest disturbance, and determine carbon stocks in an environmentally critical area of Madre de Dios, Peru. "A valuable opportunity has opened for MINAM to count on Carnegie's scientific and technical support. This will strengthen our ability to monitor the Amazon forest, build experience in improving the interpretation of the country's environmental and land management conditions, and contribute to the establishment of the REDD mechanism," says Doris Rueda, director of Land Management at MINAM. To support REDD, the Intergovernmental Panel on Climate Change (IPCC) issued baseline carbon density estimates for different biomes of the world, while also encouraging higher resolution approaches. When used for the Peruvian study area, the IPCC baseline estimate for carbon storage is 587 million metric tons. Based on the new Carnegie approach, the estimated total is 395 million metric tons. Under REDD-type programs, however, the high-resolution accuracy of the new approach would yield more credit per ton of carbon, thereby providing financial incentives for slowing deforestation and degradation. Carnegie scientists are expanding their demonstration and training efforts in the high-resolution mapping technique with the governments of Ecuador and Colombia. The research was supported by the Government of Norway, the Gordon and Betty Moore Foundation, the W. M. Keck Foundation, and William R. Hearst III. 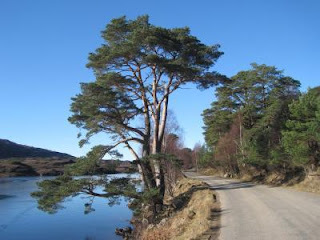 By studying similarities in the genes of Scots Pine trees, scientists have shown that the iconic pine forests of Highland Scotland still carry the traces of the ancestors that colonised Britain after the end of the last Ice Age, harbouring genetic variation that could help regenerate future populations, according to new results in the journal Heredity. The research was carried out by an international team from the Centre for Ecology & Hydrology, the Polish Academy of Sciences, the University of Edinburgh and the Macaulay Land Use Research Institute. Today's Scots Pine forests are remnants of the ancient, much larger Caledonian forest that covered the northern parts of Britain from the end of the last Ice Age until many trees were lost due to over-exploitation and agriculture more than 400 years ago. It has previously been thought that as the trees were lost so was much of the genetic diversity contained within them. Without sufficient genetic diversity the remaining pine tree populations may not be able to adapt and survive under new conditions, for example as the climate changes. By studying the remnant Scottish populations the researchers were able to see how much genetic variation remains and also how these trees compare to the intact Scots Pine forests of continental Europe and Asia. The good news is that Scottish populations turn out to be at least as genetically diverse as their continental cousins. This suggests that despite the huge losses they have suffered, the last fragments of the Caledonian Pine forest in Scotland still harbour genetic variation that could help regenerate future populations. "Despite its Scottish image, the Scots Pine owes much to its European roots." said paper co-author Dr Stephen Cavers, an ecologist based at the Centre for Ecology & Hydrology's Edinburgh site, "By looking at the trees' DNA we have learnt much about how the forests grew up after the Ice Age. Given the severe fragmentation of the current population, our results are key to understanding how these forests will cope with future change." Where the genetic diversity comes from is another question. Given the great age that these trees can reach -- as much as 700 years in some cases -- the forests present today may be no more than a few tens of generations removed from the first migrants to reach these shores after the ice retreated. DNA evidence suggests that these early arrivals came in two waves: one, which reached the far north-western Highlands very soon after the ice retreated, possibly via Ireland, and another, which settled in the eastern Highlands, from central Europe. Dr Cavers added, "We plan to continue the study, to try and discover if there are particular genes which let the Highland trees tolerate the harsh Scottish climate." On the opening day of the XXIII International Union of Forest Research Organizations (IUFRO) World Congress, held in Seoul, Republic of Korea, from 23-28 August 2010, the Heads of several member organizations of the Collaborative Partnership on Forests (CPF) presented in a sub-plenary session on biodiversity, climate change and forestry. Eduardo Rojas-Briales, Assistant-Director General of the UN Food and Agriculture Organization (FAO), presented on the CPF’s objectives and achievements, including the Forest Days at the Conferences of the Parties (COPs) to the UNFCCC. Bill Jackson, Deputy Director General of IUCN, discussed the landscape approach for linking climate change, forest management and the needs of people. Ahmed Djoghlaf, Executive Secretary of the Convention on Biological Diversity (CBD), highlighted the CBD’s global tree-planting initiative, Green Wave. Emmanuel Ze Meka, Executive Director of the International Tropical Timber Organization (ITTO), described the ITTO’s programme on reducing emissions from deforestation and forest degradation in developing countries (REDD), and enhancing environmental services in tropical forests. He called for financial incentives for sustainable forest management (SFM) and functional markets. Tony Simons, Deputy Director General of the World Agroforestry Centre (ICRAF), highlighted how far forestry has come in the international development dialogue in recent years. Jan McAlpine, Director of the UN Forum on Forests (UNFF), underlined that the UNFF values and creates institutional partnerships beyond the forestry sector to enhance cross-sectoral connections. The Alternatives to Slash and Burn Partnership for Tropical Forest Margins (ASB) has released a policy brief on reducing emissions from deforestation and forest degradation in developing countries, conservation, sustainable management of forests and enhancement of carbon stocks (REDD+) in Indonesia inside and outside areas officially defined as "forest." The authors note that, based on Indonesia's definition of institutional forest, approximately one-third of emissions from deforestation occur outside of "forests" and are not accounted for under national REDD+ policy. The authors highlight the potential for leakage to occur based on increased deforestation in areas not technically defined as forest. The policy brief suggests that accounting for emissions through a framework for reducing emissions from all land uses (REALU) will be more effective than Indonesia's current REDD+ approach. ASB is a member of the Consultative Group on International Agricultural Research (CGIAR). 24 August 2010: Frances Seymour, Director General of the Center for International Forestry Research (CIFOR), delivered a keynote address titled "Forests, Climate Change, and Communities: Making Progress up the Learning Curve" at the International Union of Forest Research Organizations (IUFRO) World Congress, being held in Seoul, Republic of Korea, from 23-28 August 2010. Seymour began by providing an overview of research on forests and communities, with the aim of drawing lessons for the multiple challenges of integrating climate change into future research. She warned against the "tyranny" of the case study, allowing scientists to build scientifically supported arguments to corroborate preexisting opinions and assertions. Seymour called for the inclusion of a political economy approach to account for the multiple, often competing, interests involved in forest policy-making. She then highlighted a series of open questions regarding: whether reducing emissions from deforestation and forest degradation in developing countries (REDD) will shape or be shaped by the pre-existing political economies of forests; the significance of climate change’s political dominance for community forests; and which institutions are most supportive of community-level adaptation initiatives. She noted that communication with the "climate world" is imperative, underlining that what may be conventional wisdom to foresters might be novel information to others. She then called for forest scientists to commit to "big science," as too much "small think" can impede evidence-based rural policy-making, and stressed that much is to be gained by investing in global comparative studies. CIFOR is a member of the Consultative Group on International Agricultural Research (CGIAR). The project has earned the first-ever approval of an accounting method for measuring the reduction in carbon emissions under REDD and is being developed by InfiniteEARTH, with funding from Shell (RDSa.L: Quote), Gazprom Market and Trading (GAZP.MM: Quote) and the Clinton Foundation. The project itself is now undergoing third-party validation and is likely to become the world's first VCS-approved REDD project later this year, Gazprom and InfiniteEARTH say. "This is seen as a landmark moment for the carbon market," Gazprom said in a statement. "Historically REDD projects have suffered due to their exclusion from the Kyoto Protocol," it said, as well as the absence of a recognised global standard. "The methodology was designed for conservation projects that avoid planned land-use conversion in tropical peat swamp forests in Southeast Asia," the statement said. Lizards have evolved a variety of methods to escape predators: some will drop their tail if caught, many have coloring and patterning that blends in with their environment, a few have the ability to change their colors as their background changes, while a lot of them depend on bursts of speed to skitter away, but how does a lizard escape climate change? According to a new study in Science they don't. The study finds that lizards are suffering local extinctions worldwide due exclusively to warmer temperatures. The researchers conclude that climate change could push 20 percent of the world's lizards to extinction within 70 years. Some places like Madagascar—with 210 species of lizards and half of the world's chameleons—appear particularly susceptible to a mass extinction of lizards. The story begins Mexico in the 1970s when study co-author Jack Sites, a biology professor at Brigham Young University, began surveying populations of Sceloporus (i.e. spiny) lizards. "I had provided a baseline data set with precise localities where the lizards were common," Sites explained. "But Mexican ecologists were going back every few years, and pretty soon the lizards were hard to find, and then they weren't seeing any. These are protected areas, so the habitat's still there. 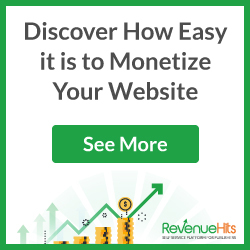 So you start to think there is something else going on." 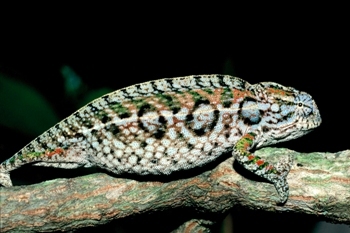 Madagascar is a hotspot of predicted extinction for lizards and members of the Chamaeleonidae family like this Furcifer lateralis are currently going extinct. Photo by: Ignacio De la Riva. Intrigued by the data professor of ecology and evolutionary biology at the University of California, Santa Cruz, Barry Sinervo, went to Mexico and surveyed 48 species of the spiny lizards in 200 sites in Mexico. Disturbingly, Sinervo found that 12 percent of the local populations had disappeared entirely. But was this warmer temperatures or something regional that the team hadn't noticed? The researchers then turned to other research projects in South America, Africa, Australia, and Europe. On all five continents the story was similar: lizard populations were dropping even in protected area. "To get this kind of pattern, on five continents in 34 different groups of lizards, that's not random, that's a correlated response to something big," Sites says. The researchers were especially careful to ensure that other factors, especially habitat degradation, weren't causing the decline. The researchers believe that temperatures are simply rising too fast for lizards to adapt. For one thing on hot days, lizards must spend their day cooling off in the shade and so are unable, due to their cold-bloodedness, to seek out food. "There are periods of the day when lizards can't be out, and essentially have to retreat to cooler places," Sinervo explains. "When they're not out and about, lizards aren't foraging for food." Many species have yet to be discovered and named across the world, as exemplified by this unnamed Liolaemus species from Bolivia. Many of these species could disappear before they are formally described. Photo by: Ignacio De la Riva. In addition, if temperatures are particularly hot during the reproductive cycle, lizard mothers aren't able to get their energy-requirements to support eggs or embryos. "The heat doesn't kill them, they just don't reproduce," Sites said. "It doesn't take too much of that and the population starts to crash." In fact, lizards that bear live young rather than eggs appear to be more negatively affected by climate change. "Live-bearers experience almost twice the risk of egg-layers largely because live-bearers have evolved lower body temperatures that heighten extinction risk," Sinervo said. "We are literally watching these species disappear before our eyes." The researchers also found evidence of lizard migrations due to a changing climate, a phenomenon that has been shown in a wide-variety of species from birds to mammals to trees. "We are actually seeing lowland [lizard] species moving upward in elevation, slowly driving upland species extinct, and if the upland species can't evolve fast enough then they're going to continue to go extinct," Sinervo explains. Researchers say that the prediction of a 20 percent extinction rate could decline if humans effectively slow anthropogenic climate change. However they expect lizard populations to decline significantly over the next few decades regardless: in fact they estimate that approximately 6 percent of lizard species will vanish by 2050 whether emissions are lowered or not, since carbon dioxide stays in the atmosphere for decades. Lizards play important ecological roles in the world's environments since they are a vital prey source for a variety of species, including birds and snakes. Dropping lizard populations is likely to hit lizard-eaters hard. In addition, lizards prey heavily on insects. "We could see other species collapse on the upper end of the food chain, and a release on insect populations," Sinervo says. For researchers who have spent their life studying lizards, the news that the small reptiles are far acutely susceptible to warming temperatures—and already disappearing—is disheartening to say the least. "It's a terrible sinking feeling," Sites says of the study's dire conclusions. "When I first saw the data, I thought, 'Can this really be happening?'" "If the governments of the world can implement a concerted change to limit our carbon dioxide emissions, then we could bend the curve and hold levels of extinction to the 2050 scenarios," Sinervo concludes. "But it has to be a global push… I don't want to tell my child that we once had a chance to save these lizards, but we didn't. I want to do my best to save them while I can." 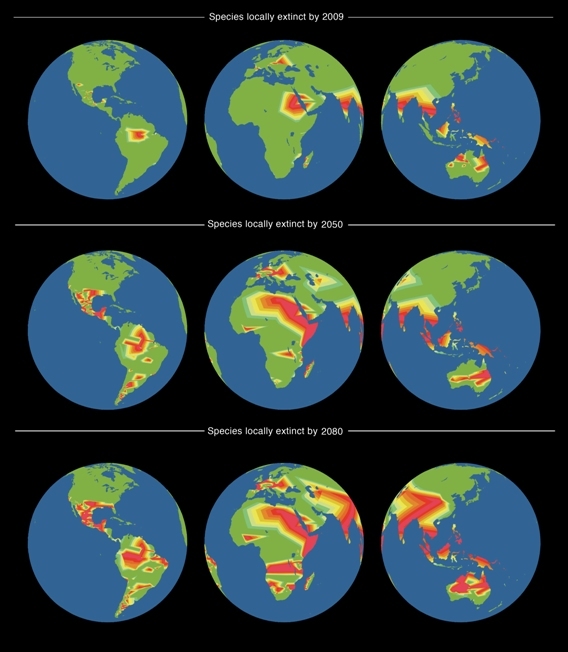 Global maps of observed local extinctions in 2009, and projections for 2050 and 2080 based on geographic distributions of lizard families of the world. Map by: Barry Sinervo. 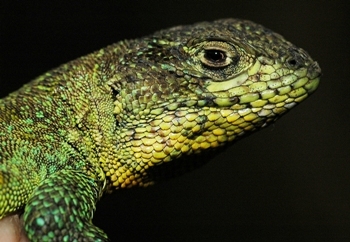 (03/04/2009) With help from data collected thirty years ago, scientists have discovered that tropical lizards may be particularly sensitive to a warming world. Researchers found that lizards in the tropics are more sensitive to higher temperatures than their relatives in cooler, yet more variable climates. "The least heat-tolerant lizards in the world are found at the lowest latitudes, in the tropical forests. I find that amazing," said Raymond Huey, lead author of a paper appearing in the March 4 Proceedings of the Royal Society B. (11/04/2009) Currently there are an estimated nearly 9,000 reptiles in the world, while the International Union for Conservation of Nature (IUCN) Red List has assessed all of the world's described mammals, birds, and amphibians, reptiles have yet to be fully assessed, leaving herpetologists with an unclear picture of how reptiles are faring in the world. Currently, 1,677 reptiles have been assessed (less than 20 percent of the total number of reptile species known) with 293 added this year. (03/07/2007) High above the forest floor on the remote Colombian island of Gorgona lives a lizard with brilliant blue skin, rivaling the color of the sky. Anolis gorgonae, or the blue anole, is a species so elusive and rare, that scientists have been unable to give even an estimate of its population. Due to the lizard&spod;s isolated habitat and reclusive habits, researchers know little about the blue anole, but are captivated by its stunning coloration. Since winning the prestigious 2010 Goldman Environmental Prize in Asia, Tuy Sereivathana has visited the US and Britain, even shaking hands with US President Barack Obama, yet in his home country of Cambodia he remains simply 'Uncle Elephant'. A lifelong advocate for elephants in the Southeast Asian country, Sereivathana's work has allowed villagers and elephants to live side-by-side. Working with Fauna and Flora International (FFI) he has successfully brought elephant-killing in Cambodia to an end. As if this were not enough, Sereivathana has helped curb the destruction of forests in his native country and built four schools for children who didn't previously have formal education opportunities. Mongabay.com recently reached Sereivathana while he was in London for the Elephant Parade—a showcase of Asian Elephants statues around the city to help raise conservation funds to save the species (to read more about the parade: Elephants march in London, trumpeting conservation). When asked how he felt on hearing the news that he had won this year's Goldman Environmental Prize (often dubbed the 'Nobel Prize' for the environment), Sereivathana said, "my wife and I dropped tears from surprise and excitement. I sat down and remembered my childhood till the day that I started working with elephant conservation." 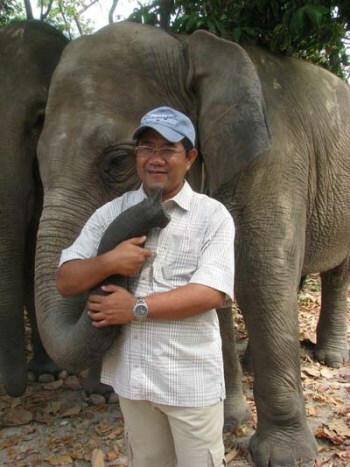 Tuy Sereivathana with an Asian elephant. Photo by: Tom Dusenbery. Like Cambodia's recent history, Sereivathana's path has not been easy. Sereivathana was born in 1970—the very year King Sihanouk of Cambodia was overthrown. From the ensuing power struggle rose the Khmer Rouge and its head, genocidal dictator Pol Pot. Fearing the new order, Sereivathana's parents escaped from the city of Phnom Penh to a small village deep in the countryside of Cambodia. It was there, living a decidedly rural life, that Sereivathana had his first encounter with the Asian elephant. 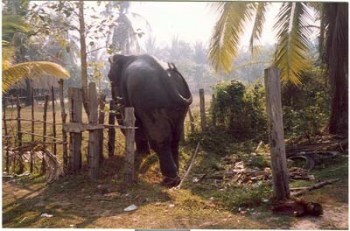 Visiting the village, two mahouts and their domestic elephants allowed young Sereivathana to pummel them with questions. Seeing an elephant for the first time changed the course of his life. "That night, all members of my family were sleeping deeply well except me. I imagined large groups of wild elephants with their babies in large forest. I wanted to work as an elephant protector (in that time we didn’t know the word 'conservationist' yet)," writes Sereivathana. Years later Sereivathana received a government scholarship and studied in Minsk, Belarus. On returning to Cambodia after a seven year absence, Sereivathana worked in forestry, but eventually began his lifelong dream of working with elephants when FFI granted him the opportunity. "In 2003, two elephant experts from FFI Cambridge went to meet my boss, Mr.Chey Samith, director of department of Nature Conservation and Protection (DNCP)," Sereivathana explains. "They needed a government officer who has strong commitment on elephant conservation to cooperate with an elephant project. My chance came. I became involved with elephant conservation from that time on." Before Sereivathana's involvement elephants were killed regularly in southwest Cambodia amid the Cardamom Mountains because they were viewed as a pest who increasingly raided farmers' crops. Sereivathana says the conflict was exacerbated by habitat loss which forced many elephants out of the forest and into agricultural areas. New villages and new crops encroached on elephant habitat and even their long-trodden corridors. After working to gain the farmers' trust, Sereivathana implemented several low-cost measures to keep elephants away from farmers' fields, thereby mitigating conflict and ulimtately protectingthe 250 or so elephants that survived in the region. Employing a variety of highly creative methods—including carbide explosions to scare marauding elephants, electric fences powered by solar panels, hanging hammocks and hats to confuse elephants into thinking people were there, placing chili in ropes and dung to keep elephants away, and encouraging farmers to switch to less elephant-friendly crops—Sereivathana successfully brought elephant mortalities from human conflict down to zero. In fact, not a single elephant has been killed in Cambodia since 2005, the year Sereivathana started working with FFI fulltime. Even more than this, Sereivathana has become a local ambassador not just for elephants but for the tropical ecosystems of the Cardamom Mountains, which house a variety of rare and endangered species, including the Indochinese tiger, the pileated gibbon, the Siamese crocodile, and the wild cattle known as kouprey which may already be extinct. "My project worked with people to stop going into the forest (where they cut trees or timbers) through providing training courses on agronomics and chicken farming," explains Sereivathana. "We also provided crop seeds, handle tractors, and made agreements with wildlife hunters and loggers." Sereivathana attributes much of his success to working closely with the poor agraian communities, in other words he has paid as much attention to human needs as to the elephant's. "We also build trust with local community and local authority. Conservation base with human needs is one of the most important," says Sereivathana. Along this line, Sereivathana developed a program which built four community schools inside elephant areas. "I knew villagers [were] concerned about future of their kids (who are illiterate). We helped to create the schools and provided teachers: these are indirect ways to improve elephant conservation in the areas. The teachers choose one day per week to do education on elephant conservation or value of forest to students such as read story books about wildlife, forests, and elephants," Sereivathana says, adding that by teaching children one also reaches adults. "When the students return home, they talk positively about elephants. It can help villagers to change their mind on elephant conservation and also bring mainstream elephant conservation to a new generation." Asian elephants, Sereivathana says, have always been important to Cambodians: "[they] played one of the main roles in building Angkor Wat [and] many Cambodian stories and songs show very deep relationship between elephant and our culture." It has just taken a passionate advocate like Sereivathana to remind locals to see elephants differently: not as enemies, but more like eccentric five ton neighbors. "The elephant is a flagship species," says Sereivathana, who sees elephants as possessing a vital ecological niche in his nation's forests. "To conserve the elephant, we have to think about their habitat (they need large forest), so other species can survive in the habitat. In case of water sources during the dry season, elephants make water holes by trampling, so other wildlife also use the water source. Elephants spread out seeds of trees in forest." Even the dung of Asian elephants has been recently discovered to provide an important link between elephants and other forest species. Researchers have found life blooming amid the dung: fungi, insects, and even tiny frogs. When asked what advice Sereivathana would give future Cambodian conservationists, he had this to say: "We must join as strong friends and try to improve our capacity day to day, support each other. Hopefully, many of us can show face in global community. 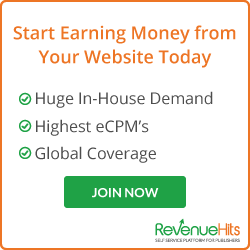 Please don’t hesitate or be shy to show our effort and achievement; especially don’t feel negative about your future." Sereivathana has proven just how much one person's dedication and passion can impact the future of one of the world's most beloved species, the Asian elephant, but more importantly he's achieved success by bettering the lives of the people who share the elephants' habitat. Tuy Sereivathana receiving his award at the 2010 Goldman Prize ceremony. Photo courtesy of the Goldman Environmental Prize. (05/17/2010) Although urban Britain is not the native habitat of the Asian elephant, the well-loved pachyderm has invaded London for the summer. Raising awareness and funds for the threatened Asian elephant, 250 fiberglass statues by different artists are being displayed all over London. At the end of the summer the elephants will be auctioned off. All the proceeds from the art parade will go to Elephant Family, a conservation organization whose mission is to save the Asian Elephant from extinction. (01/11/2010) On Christmas Eve, the Wildlife Trust of India (WTI) and the International Fund for Animal Welfare (IFAW) completed a transaction to purchase an important wildlie corridor used by over a thousand Asian elephants (Elephas maximus). The 25.4 acre Kollegal Elephant Corridor was under private ownership, but may now be incorporated into adjacent Biligiri Ranganswamy Temple Wildlife Sanctuary (IFAW). (10/26/2009) Cambodia's Royal Government's Council of Ministers has declared the creation of the Seima Protection Forest, a 1,100 square miles (2,849 square kilometers) park home to tigers, elephants, and endangered primates. The park's creation was developed in part by the Wildlife Conservation Society's (WCS) "Carbon for Conservation" program, which intends to protect high-biodiversity ecosystems while raising funds through carbon sequestration schemes such as Reducing Emission from Deforestation and Degradation (REDD). (06/10/2009) Three different species of frogs have been discovered living in the dung of the Asian elephant in southeastern Sri Lanka. The discovery—the first time anyone has recorded frogs living in elephant droppings—has widespread conservation implications both for frogs and Asian elephants, which are in decline. "I found the frogs fortuitously during a field study about seed dispersal by elephants," Ahimsa Campos-Arceiz, a research fellow from the University of Tokyo, told Monagaby.com. (02/19/2009) Indochina's remaining elephants are at risk from surging ivory prices in Vietnam, according to a new report from the wildlife trade monitoring network TRAFFIC. (01/15/2009) A population of 631 Asian elephants has been documented in Malaysia's Taman Negara National Park, reports the Wildlife Conservation Society (WCS). The population may be the largest in Southeast Asia. Scientists from WCS and Malaysia's Department of Wildlife and National Parks (DWNP) counted elephant dung piles to estimate the protected area's population size. There were no previous scientific population surveys for elephants in the park.